watercolor pencil on paper coated with resin, 18 in. x 18 in. 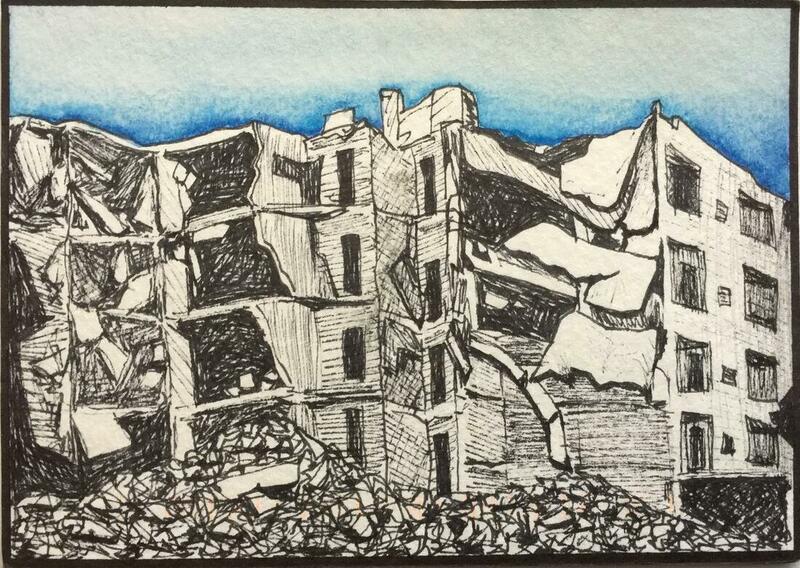 My artwork concerns have to do with our contemporary society, politics, maternal issues, and cultural identity. The selections of materials I use depend on the issues that each project reflects and how the materials relate to them. I work with what best suits the artwork’s idea; the outcome can become a painting, sculpture, performance art, video art, and/or installation. With the product, I hope to contrast the world’s daily routine, constructing new visuals that give body to ideas that have the potential to influence others on a deeper level than their day-to-day, emphasizing a collective awareness. 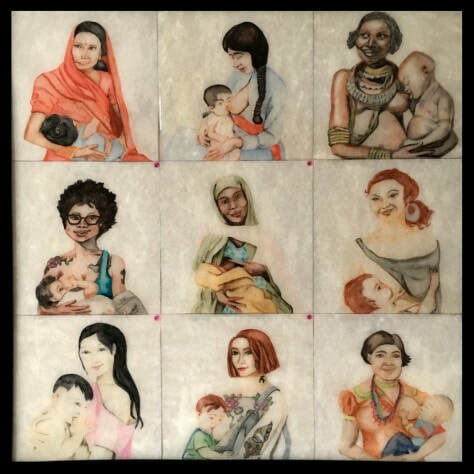 A Female Right (A) is one of two panels of watercolor drawings coated in resin that features nine mothers from different cultural backgrounds breastfeeding their children. Nursing is the most natural and healthy way of feeding babies and, for non-fundamental reasons, has become a taboo in Western society.